I have been thinking about light and photography lately. This morning, in Canmore, the sun is shining through the living room windows. I get my camera. I start shooting. 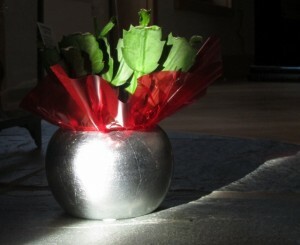 I love how the sunlight illuminates the silver pot and also highlights the Christmas Cactus. The bright red adds a zap. 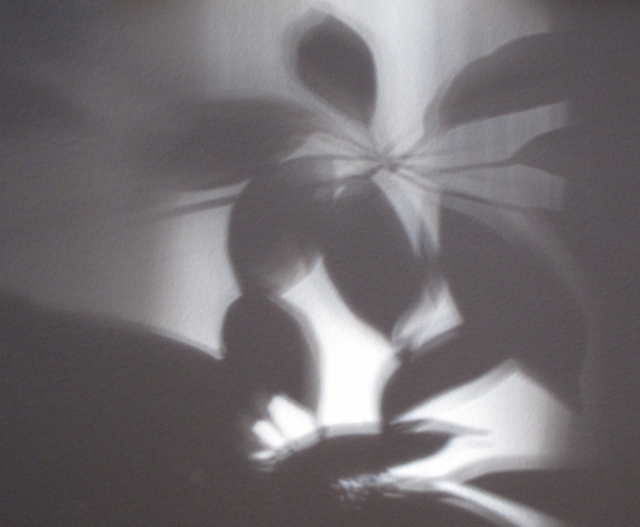 At home, we get shadows playing across our walls from the trees and the front door. We are always marveling at the wall art. I see that the wall art has followed me to the mountains. This is my favorite. 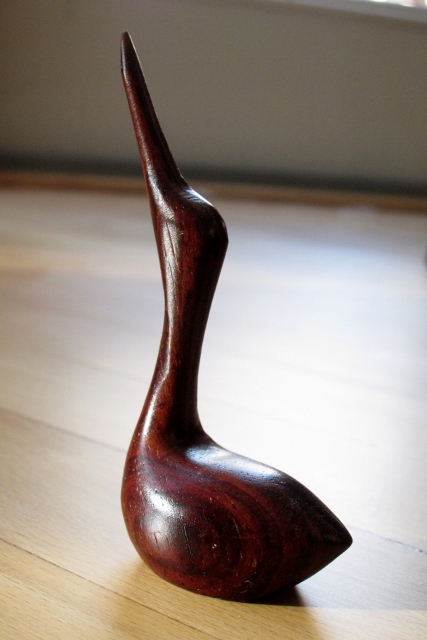 See how the light accents the bird’s beak, neck, back and wing. Wood shows off the light wonderfully. 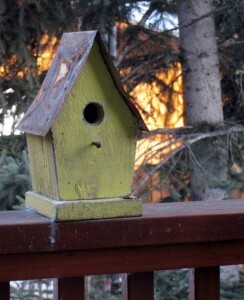 As I was eating my breakfast, I was studying this birdhouse out the back. The roof is rusting, making it blend in to its environment hoping for some small inhabitants. This entry was posted in Western Canada and tagged Canmore, photgraphy. Bookmark the permalink.